E ddy was born in Anniston, Alabama and reared near by in the Glencoe/Gadsden area. At the age of seven, his father stood him up in a pew to sing his first church solo. 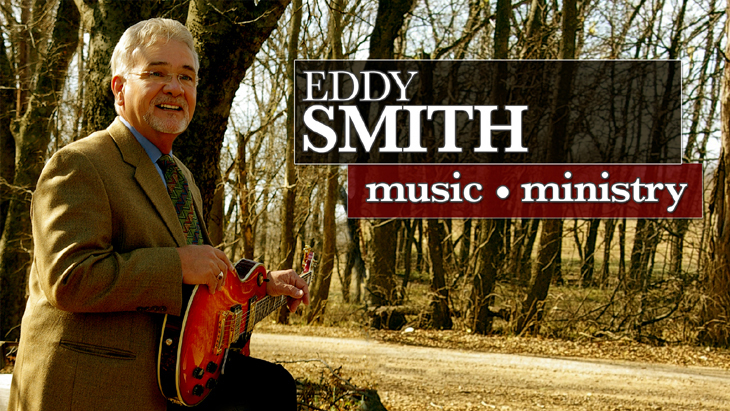 By the age of fourteen, Eddy had become a popular teenage singer in the northeast Alabama area. With his band, The Notations, Eddy enjoyed a weekly radio show and was opening road shows for such artists as Bobby Wood (If I'm A Fool For Loving You), Ronnie & The Daytonas (Little GTO), Hank Williams, Jr., and his lifelong music hero, Jerry Lee Lewis. 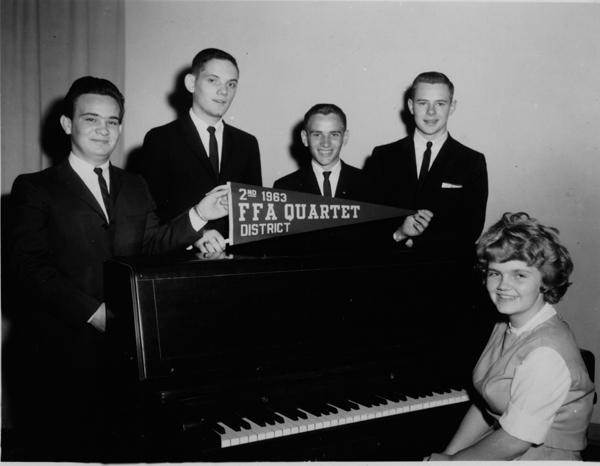 During his high school years, Eddy's love for gospel music was ever present. As a member of the FFA Quartet at Glencoe High School, Eddy was joined by his lifelong friend, Mr. Tim Riley (Gold City Quartet), one of the greatest bass singers of this century. At the age of seventeen, Eddy moved to Nashville with hopes similar to thousands of other aspiring musicians. After almost two years of walking the streets and singing for any studio executive who would listen, Eddy returned home and gave up his dreams of becoming a country music star. But God had a Plan! Over the next 10 years, Eddy applied himself to a formal education. He subsequently completed the Physician Associate Program at the Marshfield Clinic & Education Research Center in Marshfield, Wisconsin. He later completed Graduate and Post- Graduate education at the University of Alabama Medical School in Birmingham. In 1982, he was promoted to the rank of Major in the Alabama National Guard. It was at this time that Eddy decided to enter active duty in the US Army Medical Department. In 1989, with a very successful military career in place, Eddy suffered a major heart attack and subsequently had coronary bypass surgery. GOD HAD A PLAN! The night before surgery, Eddy was visited by an Angel who picked up his Bible and opened it to Job 1: 4. "As I was with Moses, so will I be with you, I will never leave you or forsake you." Then the Angel turned to Psalms 147 and began to read, "Sing praises to the Lord. Sing a new song to the congregation." Eddy knew this was truly a visit from Heaven. That night, Eddy promised the Lord if He would help him through the operation, he would start using the talent the Lord had given him and would sing for the Lord as long as he lived. The operation went without a problem and Eddy walked out of the hospital four and a half days later and hasn’t stopped singing since. God Has A Plan! © 2007 - Eddy Smith Ministries - All Rights Reserved.